When it comes to companies that truly think plan for long term success rather that short-term profits, Amazon & Netflix are the first two that come to mind. And that’s not only because most of us interact with one or the other on a daily basis, but because their CEOs have chosen the unpopular path of worrying less about pleasing their investors each quarter and focusing on their long term plans instead. In the case of Amazon, whatever its employees focus on, however — Bezos is keen all staff operate as if they’re working in a start-up, constantly coming up with new ideas — Amazon is driven by a number of defining principles. One: the two-pizza rule. No meeting should ever have more people in it than could eat two pizzas. Two: no bullet points. All PowerPoint presentations are banned. Three: this is not about profit. Amazon didn’t make a full-year profit until 2004–10 years after it started — and since then has continued to have a distant relationship with the word. 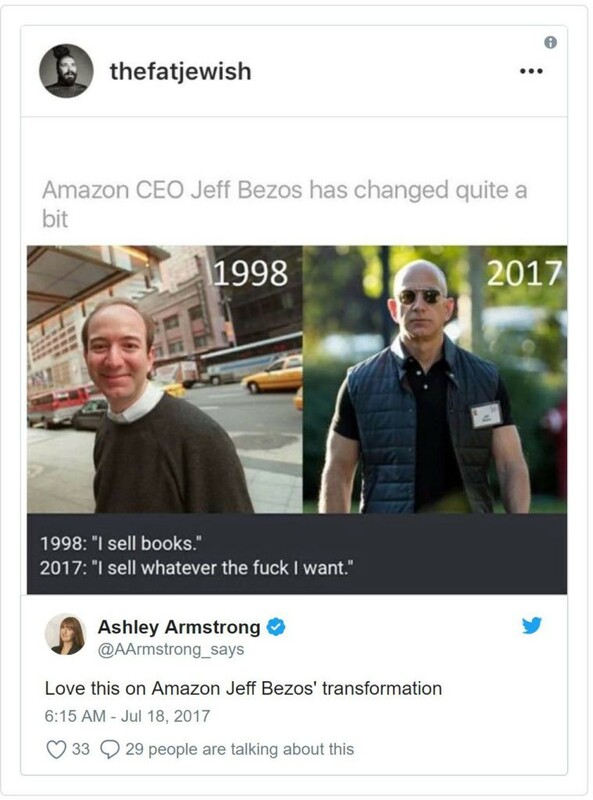 Bezos would prefer to invest to create new markets and build scale rather than return money to shareholders. They both know the fastest way to grow is by providing a superior product to what’s currently on the market, while also selling that product at a lower price. That combination is what allows companies like Amazon, Netflix, Uber, AirBnB and countless others to become multi-billion dollar behemoths with users in the hundreds of millions in a span of only a few years. This method is so effective for a number of reasons. Imagine if you’re the incumbent, the large company who currently dominates the market, but then there’s a new kid on the block who’s made a different and better version of what you currently sell, which would already leave you scrambling to match them. But then you find out that you’re losing all of your customers because that new kid on the block also doesn’t care about making money. However you, and especially your shareholders, do care about making huge profits because they’re used to it, so you try to make a similar product that’s almost as good, but still charge more for it because your shareholders are pressuring you to keep up with your past profit margins. But why do this, if you’re Amazon or Uber or Netflix, why would you go through the incredible amount of work and take risks if you’re not going to make money. Here are a few other common reasons. Because they know they will make money, lots of it, just not right now. Why make a billion dollars today when you could make a hundred billion tomorrow? That’s the ideology that all of these companies follow. Because as fast as these companies grow they go completely against the get rich quick thesis that many large companies abide by. Many older corporations focus on next quarter’s profits while tech companies focus the profits that will come next decade. That’s exactly it, get rich slowly. Move fast, grow fast, disrupt the status quo, reinvest all your revenues back into the company and be incredibly patient in wanting to receive the fruits of your labor. Now, if you’re a business owner, entrepreneur, or corporate executive, what can you take from this? How can you learn from these titans of industry to grow and build your business? Well the answer is quite simple and one that I’ve almost become a preacher of all this time. The key is patience. But more specifically use strategic patience. Hone-in on your product and service and think of new ways you can improve even if only slightly. Take advantage of modern marketing and low cost advertising platforms such as Facebook Ads, Instagram Ads and Influencers, podcasting and voice applications.